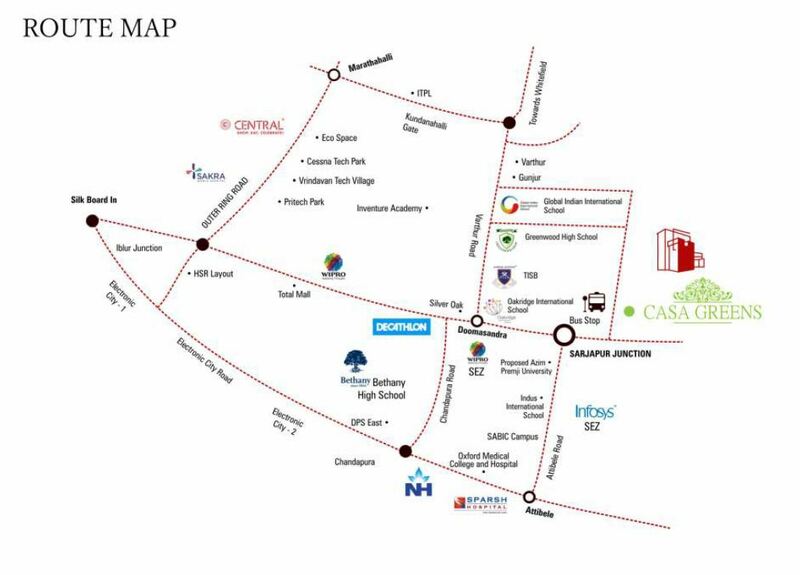 Citrus Casa Greens is an upcoming project by Citrus Ventures located Sarjapur-Bagalur Road in Bangalore. This project is lounged across 15 acres of landscape. Villas area range varies from 1,650 Sqft- 3,913 Sqft. Builder provides an excellent opportunity to live an excellent life with this project for its residents. Project offers beautifully designed villas with configuration of 3 and 4 BHK units Rate per Sqft is Rs. 4800/-. This venture is a great living experience along with the amazing amenities like Jogging Track,Children’s Play Area,Multipurpose Hall,Convinence Store, Meditation Hall,Swimming Pool,Landscape Gardens,Super Market,Toddlers Pool,Board Games,Squash,Aerobics Area,Security Hall,Indoor Games,Snooker,Table Tennis,Suana. Since our inception in 2011, we have aimed for a customer-centric approach and have strived to deliver your dream home to you through our robust engineering and aesthetic design. Highly regarded for our transparency, reliability and quality, we believe in clear-cut communication with our customers and value the money and time that you invest in us. Our mission is to provide complete customer satisfaction by ensuring that the quality of our products reflect honesty and integrity at every stage of its construction. In a few years, we see ourselves achieving transparency in all spheres of business conduct. We want to provide our customers a combination of precision and beauty. For us, our customer is always first and our sole vision is to ensure providing them services which uphold superior quality and reliability.